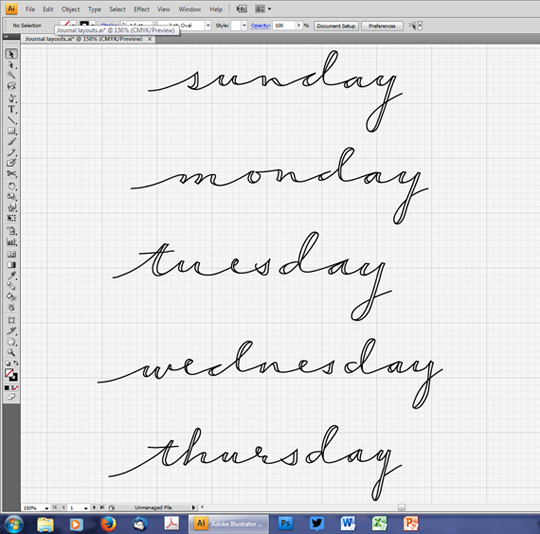 Working on some days-of-the-week hand lettering for a new set of journal pages. I've been reading about the practice of journaling and thinking a lot about the ways that we make (and perhaps discover) meaning in our lives. The next set of journal pages will be slightly different from previous sets. I'm adding one new element. Can't wait to show it to you! Oh those are lovely, Christie! I'm a journaling freak. I'm about to start creating my 2014 planner ... would love to be able to use your days of the week scripting for my pages!